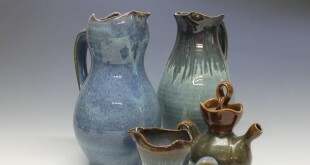 I make a large variety of different coffee mugs and cups in my production line. 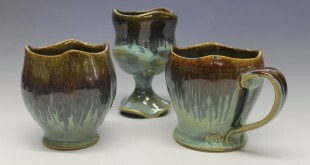 These mugs feature a blue glaze finish that gradients from dark on the rim, to lighter towards the base. 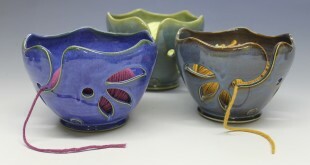 The handles are designed to be sturdy and comfortable to hold while drinking. 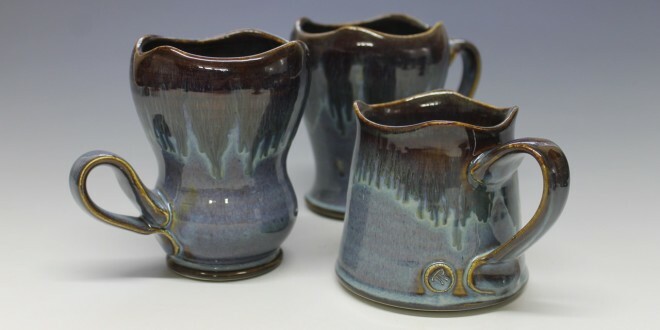 I try to keep a nice selection of these items in my etsy shop at all times, but please contact me if you have a specific color of ceramic coffee mug in mind. Next Why the Wavy Rims?